The 54th Annual General Meeting was held on Tuesday 9th June 2015 in Avenue House at 7.45pm. The meeting was attended by 44 members and 2 guests. It was encouraging to see that this was the largest attendance at an AGM for a number of years. There were also 17 apologies. The Chairman, Don Cooper, opened the meeting and welcomed all those present, including the President, Harvey Sheldon. The President was then invited to take the chair to conduct the business of the meeting. The President thanked the meeting for the card he received, which was signed by all those present at the 2014 AGM, when he was indisposed and unable to attend. Committee Members: Vicki Baldwin, Bill Bass, Roger Chapman, Eric Morgan, Andrew Selkirk and Sue Willetts. I am delighted to say that Sandra Claggett has also joined the Committee. The Chairman reported that the move from the Garden Room to the basement in Avenue House had been completed and that it was more spacious than our previous accommodation. There was also space for the contents which were stored in the garage. He also mentioned that members need to give thought to the future of HADAS, as the present Officers had held their positions for quite a number of years and replacements will be needed. Also most of the Committee members had been serving for many years. The Chairman also mentioned the two paintings that had been left to the Society by John Enderby in his will. They were painted by Erina Crossley, a long-term member of HADAS. They are now in our room at Avenue House. A picture of one of them, the old barn at Church End Farm, appeared in the April 2015 Newsletter. This Roman site was discovered in 1962. Whilst field walking, looking for flint (Mesolithic and Neolithic flints were found) Roman sherds, including a fragment of a Poppy Head Beaker, were discovered. Trenches cut in the sixties produced burnt clay and misshapen pots. This meant there was the likelihood of a kiln site, so a full excavation in was carried out in 1976. The location was unexpected, though there are several pottery sites close to Watling Street in the Verulamium area, including Brockley Hill. However, Highgate Wood is between Watling Street and Ermine Street with no obvious means of transportation to Londinium. The possible Viatores Road 227 would pass close by, and transport by donkey along trackways and onward in flat-bottomed boats via the Brent and Lea rivers has been suggested. At 28 hectares, Highgate Wood is a remnant of the mainly oak and hornbeam Middlesex Forest. This later became the deer park of the Bishop of London, and is now a public park. Development for housing and transport has reduced this wooded area. There were probably other kiln sites, now destroyed, which also took advantage of the coppice cycle that provided the large quantity of wood needed by Londinium. The amount of pottery found in Enfield, Putney, Surrey, the City Forum Site and elsewhere in the South East, which has been designated 'Highgate Ware', is far more than this site alone could have produced. The kiln site was active intermittently over a period of about 100 years from AD50 - AD160. The kilns had been repaired over time, and covered by waste dumps. They were of the typical Roman up- draught type with a flue, furnace and central pedestal, with support bars for stacking the pots. It is not known how they were roofed. One particularly interesting late kiln had a tiled arch to the flue. The sherds found may represent as many as 5,000 vessels. Types present were “poppy head” beakers with barbotine decoration, dishes rimmed to accommodate lids, beaded rimmed jars, cordoned bowls and dishes. Each vessel type had one dominant size. The fabric consisted of the local iron-rich clay, usually reduced to a mid-grey, with occasional white slip of imported iron-free clay. Early vessels were grog-tempered, but later finer wares were sand-tempered. Other artefacts were used in dating the site. These consisted of terra sigillata sherds, 15 brooches of late 1st to early 2nd century, bronze buckles, strap ends and some glass. In 1971 a two-week Experimental Archaeology Course took place in the woods, with teachers and potters. The participants dug out local clay, used kick-wheels and built three kilns. However, the resulting pots were oxidised. Failures were recorded for analysis of the wasters. In 1972, smaller kilns with more coverage produced a reduced fabric. The original kilns may have been covered with turves. At the closure of the excavation in 1969, the major kiln with the tile arched flue was removed and has been in store at the Horniman Museum. There are plans to return it to Highgate Woods as part of a new display. The final excavation report is with LAMAS, waiting for publication funding. We mentioned the sad news of Patrick’s death in the last newsletter. He was an active member of HADAS and one of our newsletter editors. A teacher for 30 years, Patrick had a wide range of interests and was an enthusiast for education, with a first BA degree in Government and Politics, followed later by an MPhil in History, then an MA in Biography at Buckingham in the year 2000, and finally, in 2010, a PhD, again in history. At St James’s school he taught “A” level Government and Politics, Law and Sociology, the last two of which he introduced into the curriculum. He always enjoyed the HADAS long weekend holidays with his brother Kevin, and our condolences go to Kevin and all their wider family. Avenue House is one of those places that keeps turning up surprises, for instance it was the RAF’s Central Hospital, Finchley, between 1919 and June 1925. Henry Charles Stephens died in 1918 and left the property to the people of Finchley. In 1919 the RAF moved their central hospital from Mount Vernon, Holly Hill, Hampstead, to Avenue House, East End Road, Finchley. Although it was a hospital for six years there is virtually no information about it. How was it organised? What type of treatment did it offer patients? This is all we know so far. The National Archive records show that the RAF Officers’ Hospital was formed early in 1918 as the RAF Central Hospital at Holly Hill, Hampstead. The Hospital was transferred to Avenue House, East End Road, Finchley, in May 1919. The Hospital closed on the 12th June 1925. Staff included the First Commanding Officer Surgeon Lieutenant Colonel F. F. Mueke, with Squadron Leaders H. E. Wittingham, H.W. Scott, B.A. Payne, W.A. Duck and A.J. Brown (all RAF Medical Branch). (Source Flight 23/6/1923). As far as patients are concerned we have only references from newspapers in The British Newspaper Online Archive http://www.britishnewspaperarchive.co.uk/ and occasional other internet references. “Flying Officer Fenwick of the RAF has been admitted to the RAF hospital at Finchley with a serious injury to his eye caused through the breaking of the glass of the windscreen of his motor car by a golf ball. Lieutenant Charles Campbell Wood, the young South African aviator, died at the RAF Hospital, Finchley on Saturday night. A fortnight ago he dived nearly a hundred feet from the parapet of Hammersmith Bridge at midnight to save a woman from drowning in the Thames. Appealed to by a woman with a baby in her arms who cried ‘My mother is drowning, will you save her?’ he jumped in without a moment’s hesitation. DODKINS, Lionel Claud, F/O - died 13 June 1921 - RAF Hospital, Finchley – malaria. FOORD, Basil Arthur, F/O, MC, DFC - died 18 October 1922, in RAF Hospital, Finchley. Capt. Howard Napier Walker, OBE., M.C., 2nd Welsh Regt., acting Lieut.-Col. R.A.F., who died on June 3 at the RAF Central Hospital, Finchley, from the effects of wounds received in action in 1914, was the eldest son of Charles Low Walker, Hopewell, Walkers Wood, Jamaica, and of Mrs. Walker, Home Lodge, Plymouth. My Namesake Uncle, Lieut. Patrick W Anderson, Black Watch, RFC & RAF, was an Observer, flying DH4's with 18 Squadron, when on 27th June, 1918, he and his Canadian pilot were attacked by ten enemy machines over Flanders during their morning bombing that day. My Uncle received serious wounds to his stomach and thigh, and letters home that were published in the Arbroath and surrounding area newspapers said that he could not be moved due to his loss of blood in getting back to his lines. His RAF Casualty Card shows that he was “dangerously ill, gsw left thigh” at “51 CCS France” and the following day “Wounded". Then on 29th June, 1918 "Still critical;" then on 15th July, 1918 at 30 General Hospital, Calais: "Dangerously ill, GSW groin, buttock left." Admitted 1st April 1919 to Swanage Hospital (Dorset); 8-9th September, 1919: RAF Hospital, Finchley. 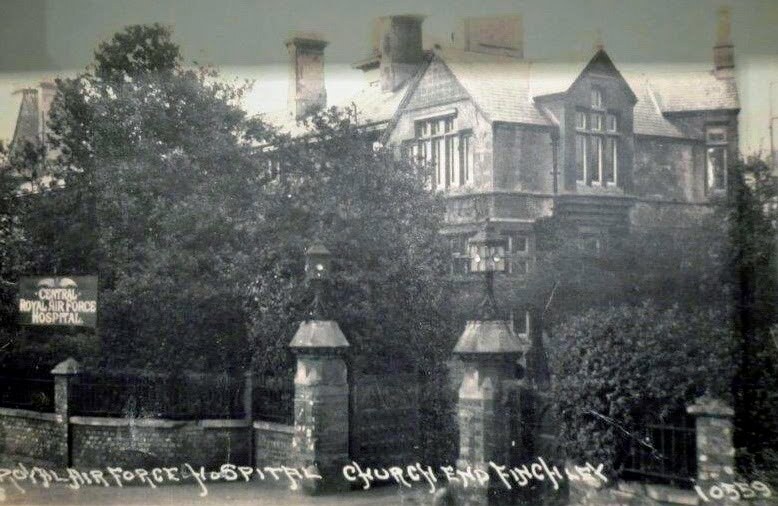 Discharged from RAF Hospital Swanage on 14 October 1919, 17th-20th October, 1919: RAF Hospital, Finchley. We are very much still on the lookout for more information, so should you come across any reference please let us know. Many thanks to those who have already paid their subscription. If you intend to renew this year and have not yet done so, I would be grateful to receive payment by 17th August 2015 at the following rates: £15 (full), £5 (each additional member at the same address), £6 (student). My address is on the last page of this newsletter. It is not necessary to return the renewal form enclosed with April's Newsletter. A piece of paper with your name, postal address, telephone number and email address (if applicable) will suffice. I will then be able check the details we hold are still correct. It would also be helpful if you could indicate your willingness to receive the newsletter by email. This helps to keep our costs to a minimum. Thank you. Over recent years, HADAS has undertaken digs with schools in the Borough, and for 2015 we returned to Cromer Road School in New Barnet. Our interest was sparked when researching for the 2014 dig, when we spotted parch marks on a grassy space at the front of the School. Research confirmed that a building was on the site between about 1940 and 1970. Documentation remains to be found. Few pictures have been seen, the best being a classroom picture from 1968, with the building in the background through a window. As the dig was in open space, we were fortunate in obtaining council permission to go ahead. Two Year-5 groups (9-10 year-olds) totalling 59 children were involved. They were given classroom sessions, the first explaining archaeology, the second looking at maps of the area. For the dig, each was given a handbook about the site and the processes that they experienced. Thanks to Bill Bass, Roger Chapman, Don Cooper, Melvyn Dresner, Angie Holmes and Susan Trackman for giving up their time to support the dig and mentor the children. Thanks also to Jo Nelhams for liaison with the school. Further reports will appear in future newsletters. An enquiry received - can you help? There was a WW2 Transmitter Out-Station of the R.A.F. Hendon. It was located at the bottom of Brockley Hill but could possibly have been sited in a caravan or vehicle. 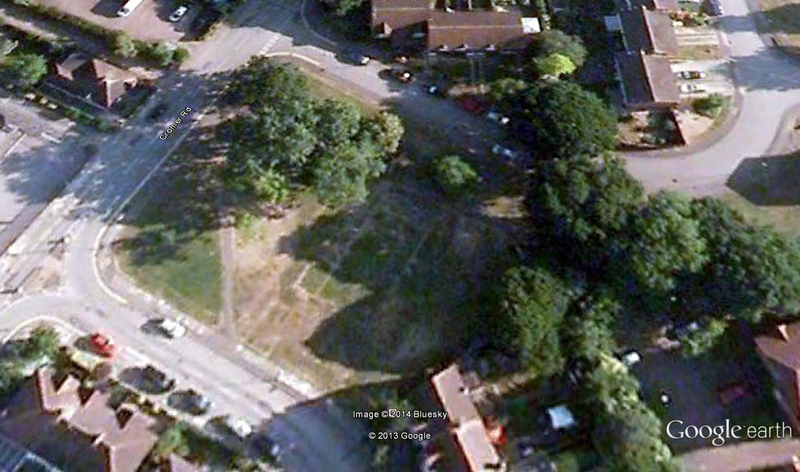 Secondly, there was a Radio Direction-Finding Station in the centre of Copthall field, Mill Hill. Perhaps it was mounted on a brick and concrete base hexagonal in layout. Does anyone remember seeing any evidence or memories of these two sites? Saturday 4th-Sunday 5th July, 12-7pm, East Barnet Festival, Oak Hill Rd., East Barnet, EN4 8JS. Lots of community stalls, including Barnet Arts Council (with HADAS information), music, dance, classic cars (SUV), food, bar. Tuesday 14th July, 7.45 pm, Amateur Geological Society, The Parlour, St Margaret’s Church, Victoria Ave., N3 1BD (off Hendon Lane). Studying Planetary Impacts: From the Field to the Lab. Talk by Dr. Penny Wozniakiewickz (Natural History Museum). In the June HADAS Newsletter, the Barnet Local History Society Coach Outing to Greenwich was shown as Saturday 15th July. It should have been Saturday 18th July. (Tel . 01707 858430 or 020 8440 8066 for more info. All welcome. Cost £15). 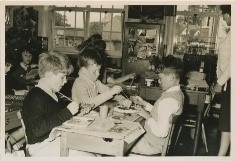 Wednesday 15th July, 7.30 pm, Willesden Local History Society. Meet at All Souls’ Church, All Souls Ave., Harlesden, NW10. Tour of the Church and the High Street, led by Fr. Michael Moorhead and Margaret Pratt (Hon. Sec.) Will inspect the restored Jubilee Clock and High Street from 8-8.30 pm, and return to the Church for tea. Thursday 16th July, 7.30 pm, Camden History Society., Burgh House, New End Square, NW3 1LT. History of St Michael’s, Highgate. Talk by Roger Sainsbury. Visitors £1. Also, until Sunday 13th September, Old Hampstead Rediscovered – Art Exhibition displayed by Heath & Hampstead Society of rarely-seen old paintings of Hampstead. Open Wed-Fri and Sunday 12-5 pm. Free. Also the Heath and Hampstead Society are jointly involved in The Summer open art exhibition, held at the top of Heath Street, NW3 on Sundays, from 28th June and 12th and 19th July from 12-5 pm, where works will be on sale. Saturday 25th July 2-4 pm, Myddelton House Gardens, Bulls Cross, Enfield, EN2 9H9. Walking in the Footsteps of Mr Bowles – an informative tour highlighting the history of the man and his gardens. Cost: £4. (HADAS did resistivity here previously). Tuesday 28th July, - Saturday 8th August, Barnet Guild of Artists, Christ Church, St. Alban’s Road, Barnet EN5 4LA. Summer Exhibition. Sunday 2nd August, 2.30 pm. Heath & Hampstead Society, Burgh House, New End Square, NW3 1LT: Flora of the Heath. Walk led by David Bevan (former Haringey Conservation Officer). Lasts approximately two hours. Donation £8. Tuesday 11th August, 2pm, Guildhall Library, Aldermanbury EC2V 7HH. The Remarkable History of Temple Bar. Talk by Robert Stephenson (COLAS). Free, but please book in advance on Everbrite: e-mail GHLevents@cityoflondon.gov.uk . Tel. 020 7332 1869, or visit www.cityoflondon.gov.uk/guildhalllibrary (Robert gave the May Lecture on the Knights Templar). Tuesday 11th August, 7.45 pm, Amateur Geological Society, The Parlour, St Margaret’s Church, Victoria Ave., N3 1BD (off Hendon Lane). Members’ Evening. Talks by members, including Sue Jacobs on Sixty Degrees North, and Mike Howgate (Chairman) on The River Stort and the Ice Age, and a display of entries for their competition. Wednesday 19th August, 9 am. Mill Hill Historical Society, Coach trip to Thetford and Bressingham Gardens. Thetford was once the capital of the Iceni, and is believed to have been the residence of Boudicca. It is also the site of the tallest Norman motte in the country. Although all traces of the castle have gone, there are many Viking and Saxon remains in the town museum. After lunch we go to the Blooms of Bressingham Gardens. There are also a couple of miniature steam railways here. Depart Hartley Hall, Flower Lane, NW7 at 9 am. Latest date for booking is Friday 24th July to Keith Dyall, 26 Millway, NW7 3RB. Price £25. (Phone 020 8959 7147/07788 677103). Please send S.A.E. together with cheque payable to Mill Hill Historical Society, stating your name and address, telephone number and e-mail address. Trip will depart for home at 5 p.m.
Friday 21st August, 7 pm. COLAS, St. Olave’s Parish Hall, Mark Lane, EC3R 7LQ. Members’ Night: An Archaeological Miscellany. Members’ presentations. Visitors £2. Light refreshments afterwards. With thanks to this month’s contributors: Stephen Brunning, Don Cooper, Audrey Hooson, Eric Morgan, Jim Nelhams, Jo Nelhams and Mary Rawitzer.